Siargao has been among the top destinations in the Philippines to get overdosed with world-class surfing waves, bone-white sand, laid back sunsets, waters with impossibly perfect hues of jade and turquoise that sparkles with brilliance under the sun and get the tropical vibes with countless towering coconut and palm trees in every turn. Is it worth the hype? Absolutely, as it could make everyone effortlessly fall in love with the island! Indeed, it is a place to be for every wonder chasers. It was even more famed since the showing of the local film, Siargao, starred by Erich Gonzales, Jasmin Curtis and Jericho Rosales and directed by Paul Soriano inviting a surge of tourists to the island. 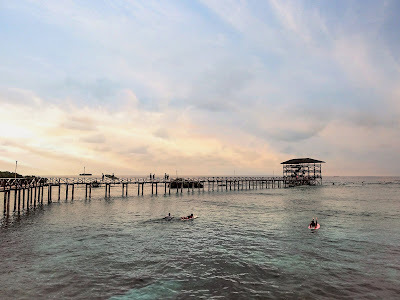 Siargao island is part of the province of Surigao del Norte under the CARAGA region situated in the Northern East tip of Mindanao. 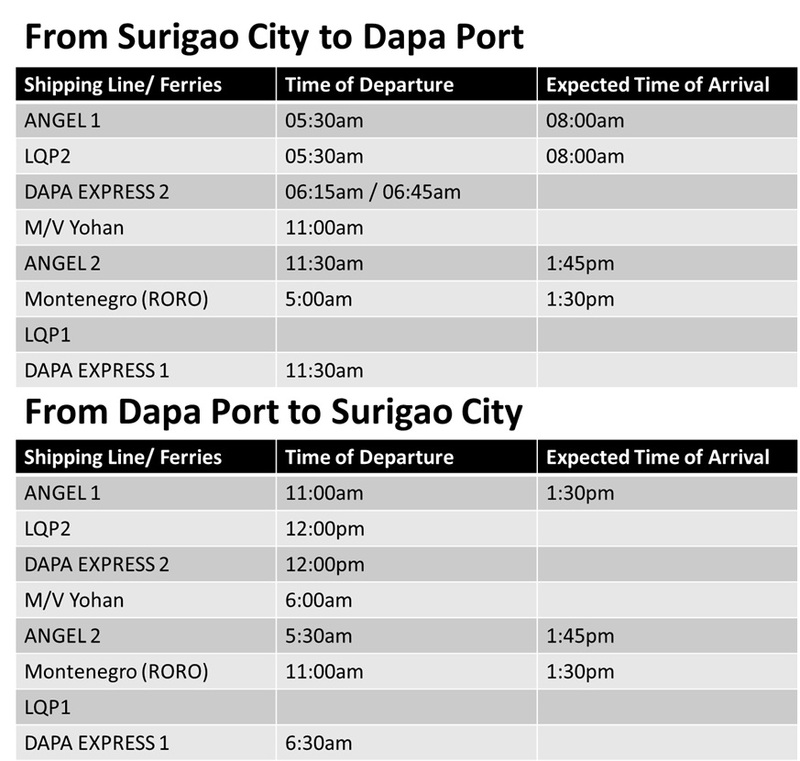 It's point of entry, Dapa Port can be reached in three to four hours travel by sea from PPA port, Surigao City, Surigao del Norte. From Manila, you can catch Cebu Pacific Air's daily flights straight to Sayak Airport that is 30 minutes away from General Luna, Siargao or to Butuan City, Agusan del Norte via Mactan International Airport (Cebu). From Butuan Airport, you need to take a multicab to the terminal then a bus bound for Surigao City or Tacloban. Travel time is around three to four hours depending on the traffic and passenger waiting time. 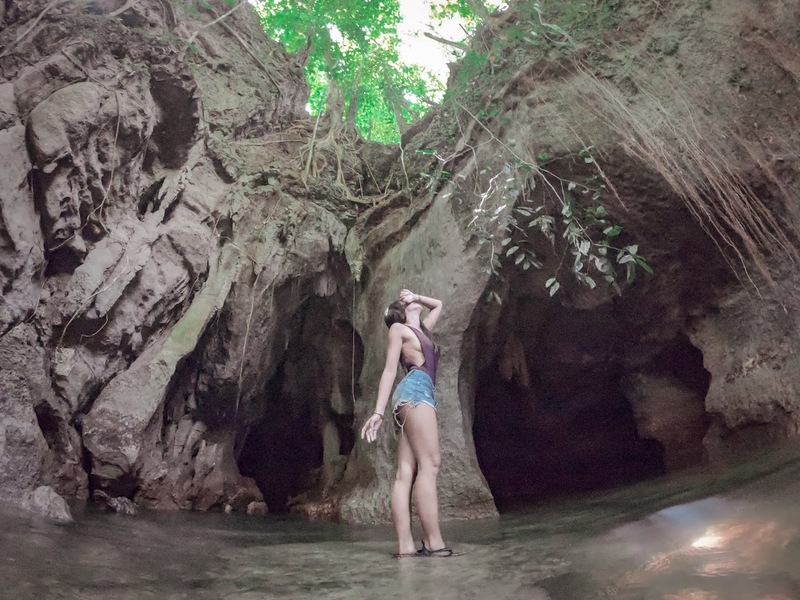 When arriving at Siargao island early, you can try spelunking at Tayangban Cave. It is quite a perfect place to wait on low tide at the sea good enough for the rock pools in Magpupungko to be approached. The cave can be possibly explored for an hour. 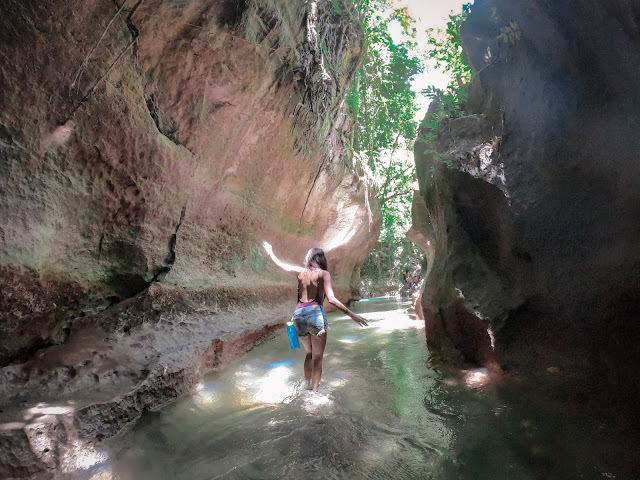 It features an underground river with fascinating stalactites and stalagmites formation with a short narrow canyon at the end leading you to the crystal waters where you can jump off to. Bringing headlamps or waterproof flashlights is a must. 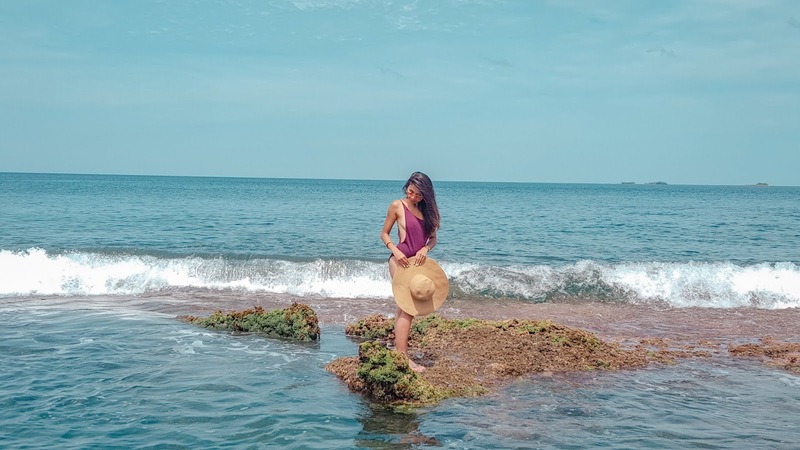 During low tide, natural rock pools appear on this side of Siargao. Tourists can enjoy the sight of tides from afar, snorkeling and low-point cliff diving at the rock pools. There are several pools that appear, big and small, at noon time. When famished, you can also have your lunch as there are small local restaurants at the beach. Should you decide to wait on low tide in this place, there's a beach right at the entrance but swimming is not allowed due to the tides and waves. From Magpupungko, Sugba lagoon can be reached in 30 minutes by land travel and 30-40 min boat transfer via the town of Pilar. 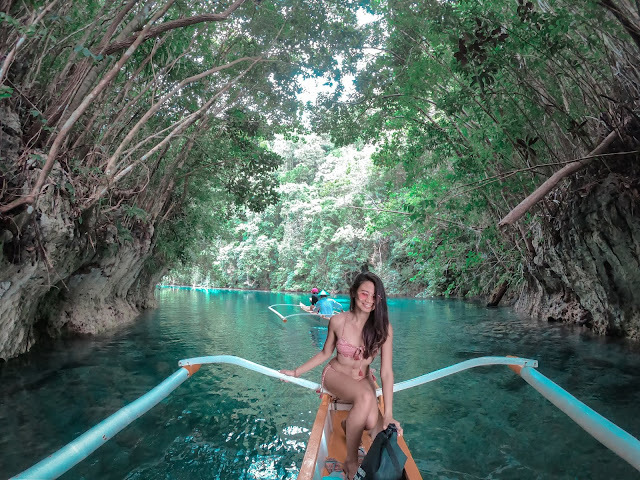 There are lots of water activities in Sugba Lagoon such as paddle boarding, kayaking, rafting and diving. 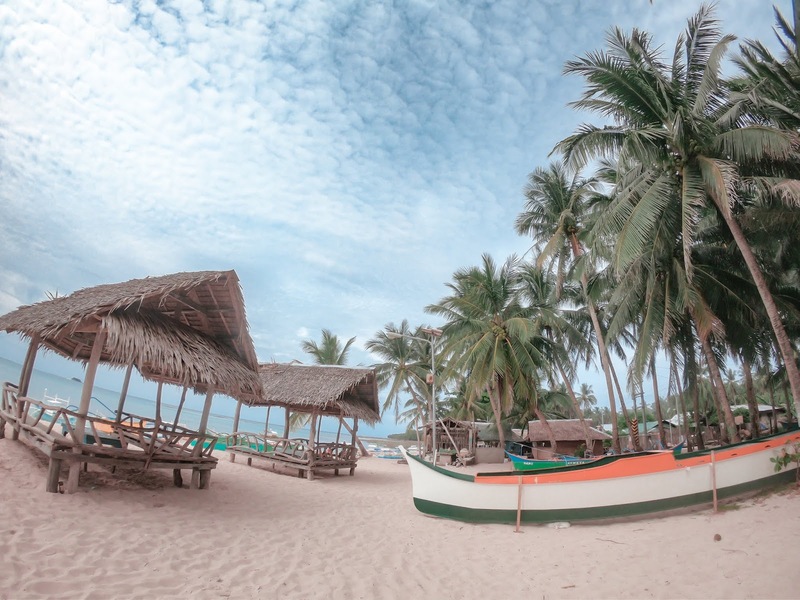 Its among the spots in Siargao with the most relaxing view since the view on the other side of the tower where boats dock and people stay when off the waters is enveloped in nothing but hues of green. 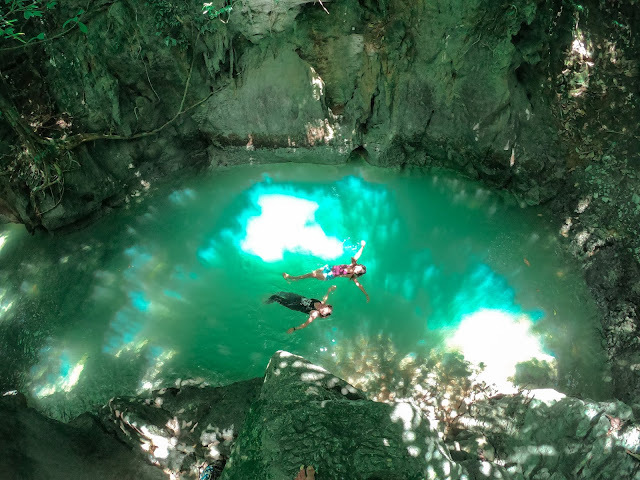 Sohoton and Bucas Grande island are characterized by caves, fascinating rock formations and lagoons with crystal clear waters where you can still see the seabed few meters from the surface. Every acitivity promises something that will make your hearts skip and beat and garner "ooh's" and "wow's" out of amazement. You can try diving for four to eight meters, viewing of stingless jellyfish, swimming on its clear jade and aqua blue waters, passing through and going underwater to get into caves, 10 to 13-feet cliff jumping, spelunking and more. 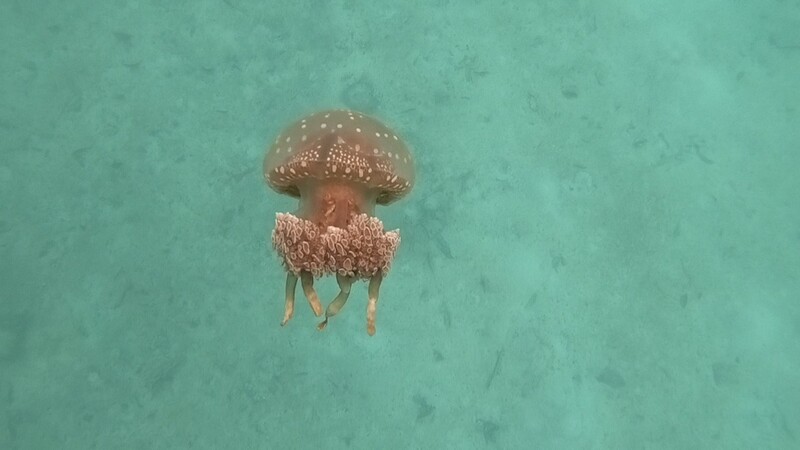 The tour to the jellyfish sanctuary goes first then you have to wait for a few hours for low tide so the level of the water could go low too making it possible and safe for tourists in boats to pass through the caves as for the Sohoton and Bucas Grande tour. This island with nothing but sand, a small (literally small like it has just grown for months) palm tree and few grass is literally naked. There are no trees at all nor anything to provide shade to the tourists. It's the most perfect place to those who want to lay and get tanned. From the word, Daku which means big, Daku Island is the biggest among the tri-island destinations (Daku, Guyam, Naked island). There are locals who can cook for you in this island. Getting a nipa cottage is required should you get your food cooked by them. You can choose from pork and seafood that they sell at a price. While waiting on your food, you may roam around, take pictures and play beach volleyball at the other side. There are also a lot of coconut trees that do not just provide shade but also bear fruits that could quench your thirst. 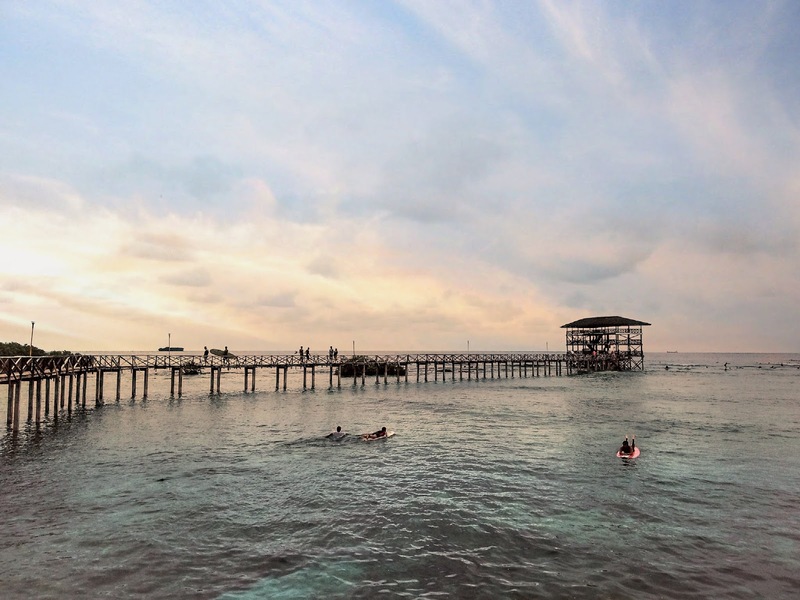 Just like Daku Island, Guyam Island gives it tourists a tropical vibe due to the number of coconut trees that will welcome them upon docking at the beach. 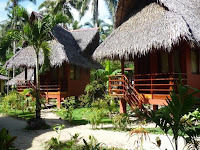 The home of the world-class waves in Siargao is located at General, Luna. 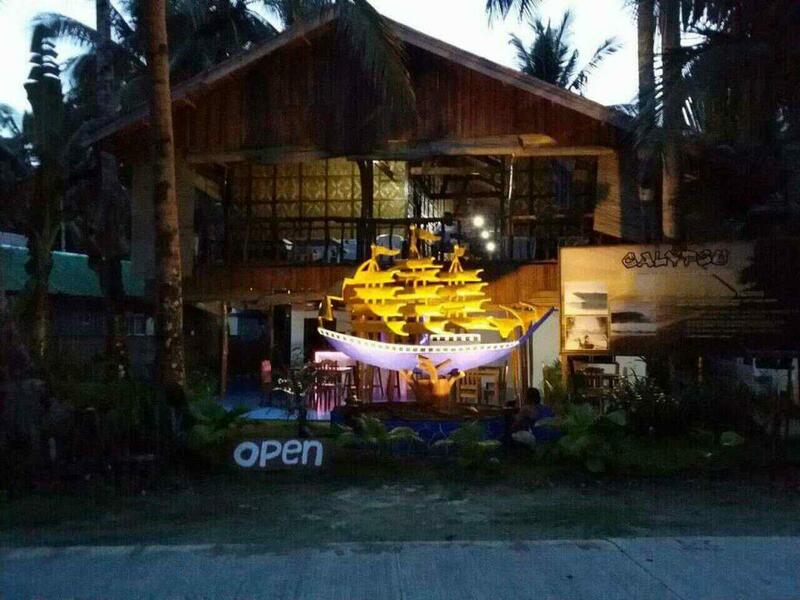 For only 500php (board + instructor), tourists can enjoy riding the waves of Cloud 9. There are kinds of waves catering to the surfers of different levels. For the beginners, they are brought to the area of jackhorse waves. For the pro, they can try the Cloud 9. Beginners are required to surf with instructors as this will also ensure their safety. 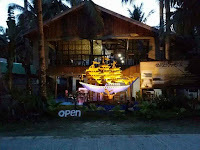 To the professional surfers, boards can be rented outside the resort for only 300php. 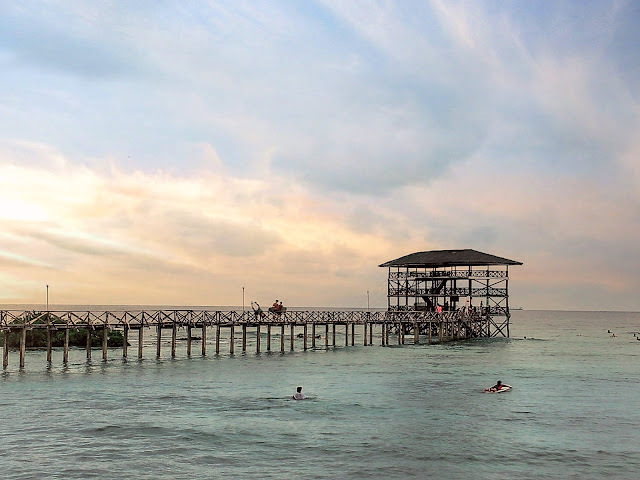 After surfing, you can also enjoy the view of the waves and General Luna at the Cloud 9 tower or get some tan at the beach nearby. 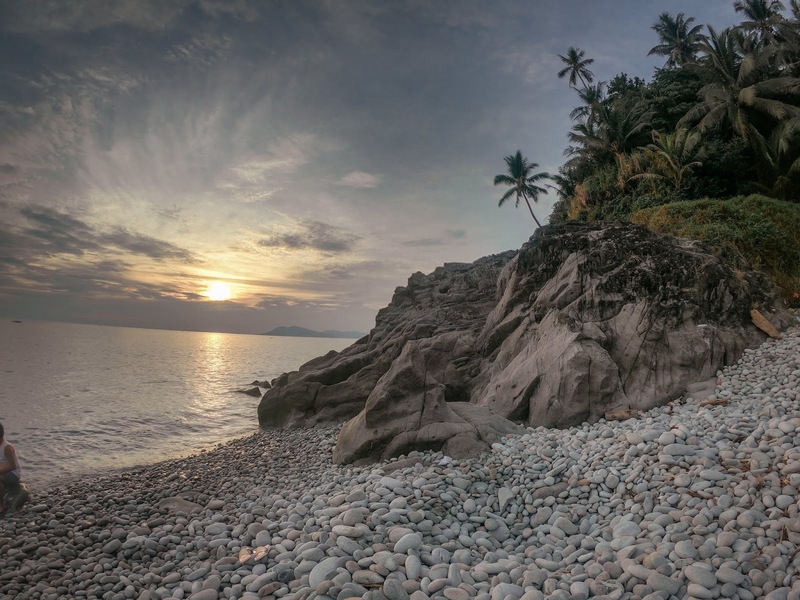 Read more about Mabua Pebble Beach Travel Guide here! From Sayak Airport, you may simply take a tricycle straight to your hotel. Take a multicab outside the arrivals. Tell the driver to drop you off the bus terminal going to Surigao City. From the bus terminal, take a Bachelor bus going to Surigao City. Alight at the terminal. From the terminal, take a tricycle or multicab going to PPA Port or Magsaysay Terminal. Once you have arrived at Dapa Port from Surigao City, there are habal and tricycle drivers waiting at the exit. However, it is better to establish a contact with a local prior to your arrival f or they have a tendency to pool around you and this would really take much of your time. For 350-400php, you may rent self-drive motorbikes with gas not included. It will cost 200-250php to roam around for a day. Also, you need to return it from whom you rented it. In our case, we rented a tricycle with a driver. Pros are: someone's watching over our stuff, we didn't get lost nor had problems with getting around thus we saved time. If you are traveling in a group of four or five, this is more ideal. These suggested hotels and resorts are located at General Luna. 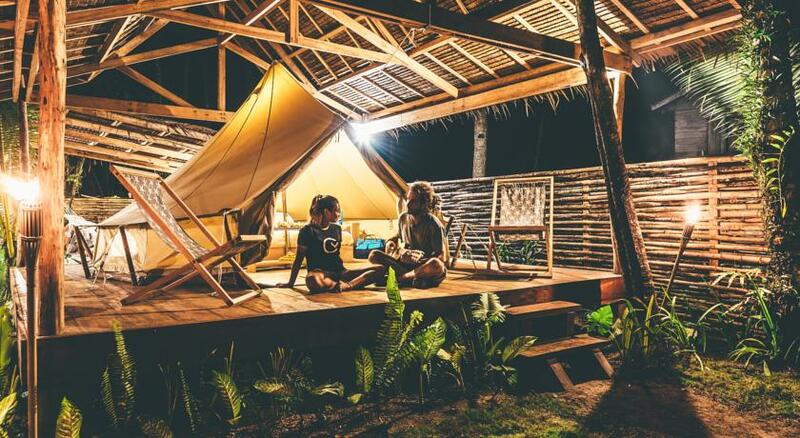 It is better to book your accommodations in the town since it is quite accessible to most of the points of interest in the island. NOTE: You have a choice as regards the last activity on Day 3. You may either check in to resorts or hotel in Mabua, Stay in Siargao or go back to City depending on your next destination or flights. 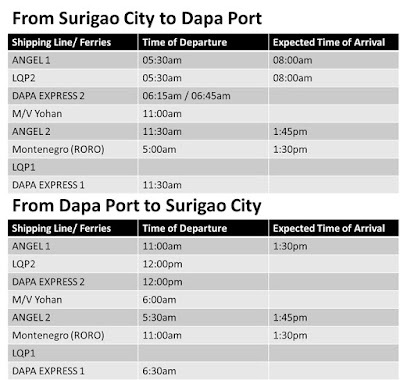 Note: DAY 0 exprenses (rooms rented in Surigao City and fares from Butuan to and from City)1 not included. 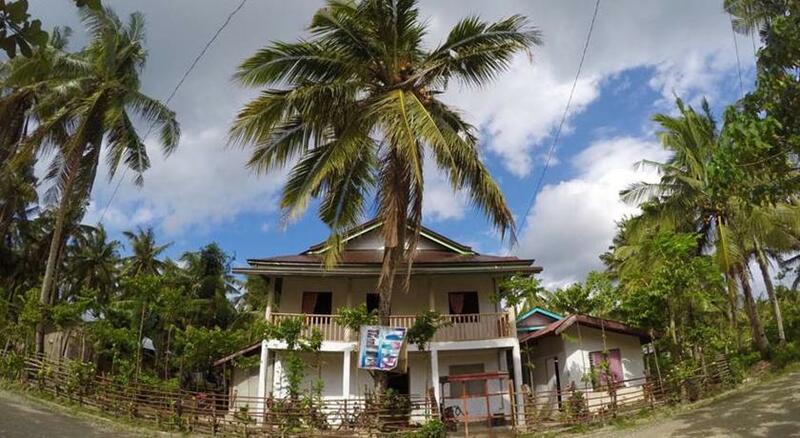 If you'll be booking flights straight to Sayak Airport in Siargao, You'll be able to save some bucks and spend more time in Siargao Island, itself. 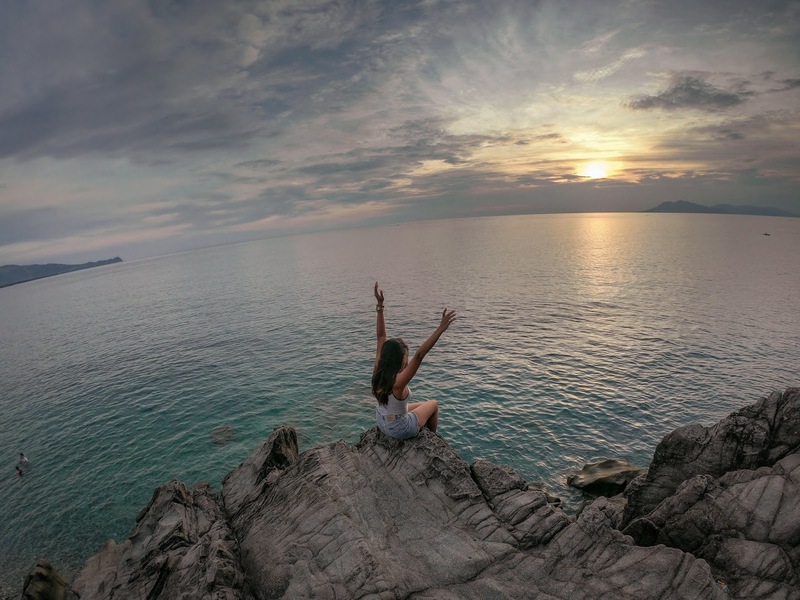 More so, you can also save by splitting expenses with other travelers. We were able to visit the pebble beach since my flight was scheduled the next day in Butuan Airport.